Worse than Y2K, AND this actually happened. 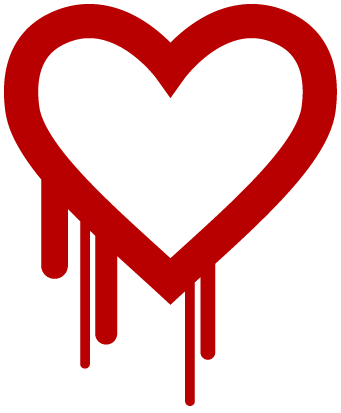 I’m sure you’ve heard, but around half the internet had been compromised for about the half year due to the so-named Heartbleed bug. We know that it was found at least 3 times – by the NSA (probably), by Google, and by a Finnish researcher, Leena Snidate. It has been in the wild since 2011 – if you think you’re safe and those are the only three? I’ve got some Wyoming property on the Atlantic Ocean for sale. On a hilarious note, while talking to my Mom on the phone on her birthday (happy birthday, Mom! ), she mentioned that she had read about half of our April Fools post before realizing it was a joke. How should I take that? At Hope to Prosper, Bret review the new Michael Lewis book on High Frequency Trading. We’ll have something eventually, but I must admit not having read it yet! Sydney at Untemplater writes on Yakezie about the aspects of being a successful blogger. Nice piece. Paula at Afford Anything has an epic post on weighing paying off home equity versus investing the difference. I think we’re inspired – maybe expect a DQYDJ piece on this eventually, as well. Len Penzo agrees with us – a small tax return was no big deal this year. Get back to us when you can get 6% on a savings account again. Sam the Financial Samurai writes a piece where we can’t help but agree – it’s hard to replace a day job. Ahem. Insert your own site name joke. At Political Calculations, an updated chart on the size of the tax code – don’t worry, we only added about 80% of the original 1913 tax code this year! Just kidding. I’m not either, but apparently being rude is something that I can’t stop.